For consumers, the cost of shipping has been one of the major drawbacks of ecommerce. During the last holiday season, free shipping made a comeback as merchants tried to ensure that consumers would buy online. So popular was the promotion many merchants continue to offer it. Now, with the collection of sales tax for online sales looming, some merchants believe it’s even more important to maintain free shipping. ShopRunner provides a membership shipping option to brands, multichannel retailers, and pure online merchants in a model that closely mirrors Amazon Prime, which I examined last year in “Amazon Prime: 5 Million Members, 20 Percent Growth.” The annual cost to consumers is the same, $79 a year, but ShopRunner also offers a monthly payment option for $8.95. Each program provides for two-business day shipping. ShopRunner began operation in October 2010 as part of GSI Commerce. When eBay purchased GSI Commerce, ShopRunner was spun off and is now part of Kynetic, a private holding company started by Michael Rubin, the founder of GSI Commerce, which also includes Rue La La, a member-only fashion site, and Fanatics, a sports apparel retailer. eBay is a minority investor. ShopRunner currently has 60 participating partners and is looking to add more. Another 20, many of them small pure online sites, will be operational before the end of the year. While the company will not say how many members it has, Jonathan Kapplow, ShopRunner’s chief marketing officer, says the company racked up more than $100 million in sales during its first year in business. Partners include multichannel merchants Lord & Taylor, ToysRUs, Radio Shack, and Sports Authority, as well as pure online merchants Blue Nile, eBags, Fogdog, and Newegg. Among the participating brands are Calvin Klein, Haggar, Speedo, and Timberland. ShopRunner already includes several major brands. Membership benefits include free shipping on returned items; customers need only download a postage paid return label. ShopRunner does not provide fulfillment services; merchants are responsible for shipping. For multichannel merchants, only online sales are eligible for the program. Not all items sold by merchants are eligible for the ShopRunner program. Large, bulky, or perishable items are usually not included. “Merchants sign up to help drive incremental sales,” says ShopRunner’s Kapplow. “Increased frequency of purchase is a major factor.” Consumers who sigh up for ShopRunner are experienced online shoppers — according to Kapplow — and they are loyal to the network of stores within ShopRunner. Thus, customer acquisition costs can be greatly reduced, especially for smaller online sellers. Merchants do not pay to participate in the program and if a ShopRunner member is sourced from a merchant’s site, ShopRunner may share a portion of the annual fee with the merchant. There is also a cost sharing arrangement possible, whereby ShopRunner subsidizes merchants’ shipping costs. Each merchant gets a ShopRunner account manager and an online dashboard with customer statistics. “ShopRunner is a coalition of merchants who, in aggregate, can deliver a better value proposition to consumers than they ever could on their own,” adds Kapplow. Kapplow believes consumers would prefer to sign up for one shipping program that covers many items at many stores rather than individual stores’ shipping programs. Shoppers get a wider selection of goods, free returns, and access to special promotions. A membership can be shared with four members of the same household. ShopRunner gives members $10 for every referral who activates a ShopRunner membership. ShopRunner is fully integrated with participating merchants’ websites. Consumers can go to the ShopRunner website to find the list of participating merchants. In the “Marketplace” section, members can see the special promotions offered by participating merchants. 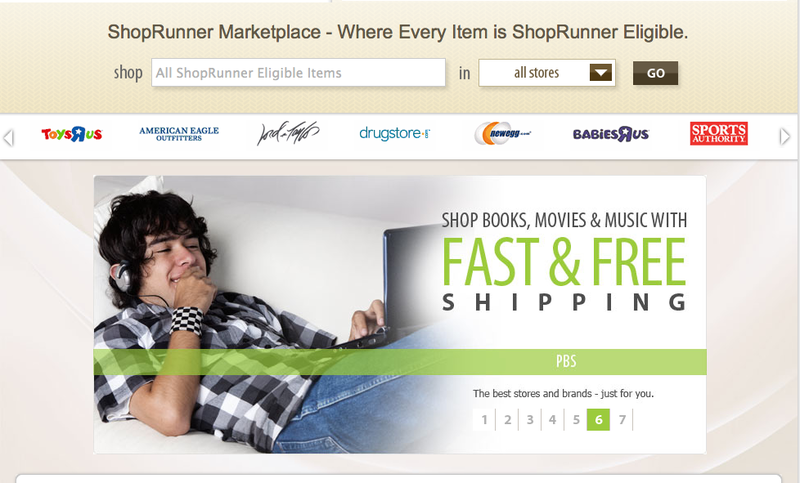 If a consumer goes directly to a participating merchant’s website, the ShopRunner logo appears in the shopping cart. Existing members just sign in to get the free two-day shipping. Non-members can click on the logo to sign up for a free 30 day ShopRunner trial without leaving the merchant site. Merchant participation in the ShopRunner program does not interfere with other shipping promotions. For example, a participating merchant can still offer free standard shipping on orders over a certain dollar amount. 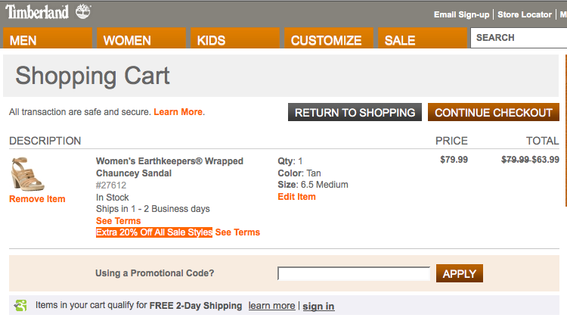 The ShopRunner program integrates directly with the merchant website. ShopRunner is seeking to expand its services beyond shipping and differentiate itself from Amazon Prime. Domino’s Pizza is a partner and members can get free delivery for online orders. ShopRunner recently acquired PickupZone, a company that facilitated package pick-ups at retail locations in Boston. According to Kapplow, later this year ShopRunner will be launching PickupPoints, a program that will allow individuals who use a post office box or live in a locked apartment building without a doorman to have an item delivered to a local retail store. This will drive traffic to the stores of brick-and-mortar partners. This program will compete with Amazon Lockers, which lets consumers to pick up packages from secure mailboxes at 7-Eleven. Lockers is currently being tested on a limited basis in Seattle. ShopRunner is also looking to implement an express checkout, similar to Amazon’s one-click checkout. There is also a free ShopRunner mobile application for the iPhone. Ecommerce merchants that are struggling with the free shipping issue and use UPS or FedEx may consider ShopRunner, especially if revenue and cost sharing agreements can be negotiated.